THE AFFAIR, was awarded as 2015 Golden Globe® for Best Television Series, Drama, stars Golden Globe® Dominic West (The Wire) and winner for Best Performance by an Actress in a Television Series, Ruth Wilson (Luther), as well as Emmy® nominee Maura Tierney (ER) and SAG Award® nominee Joshua Jackson (Fringe). 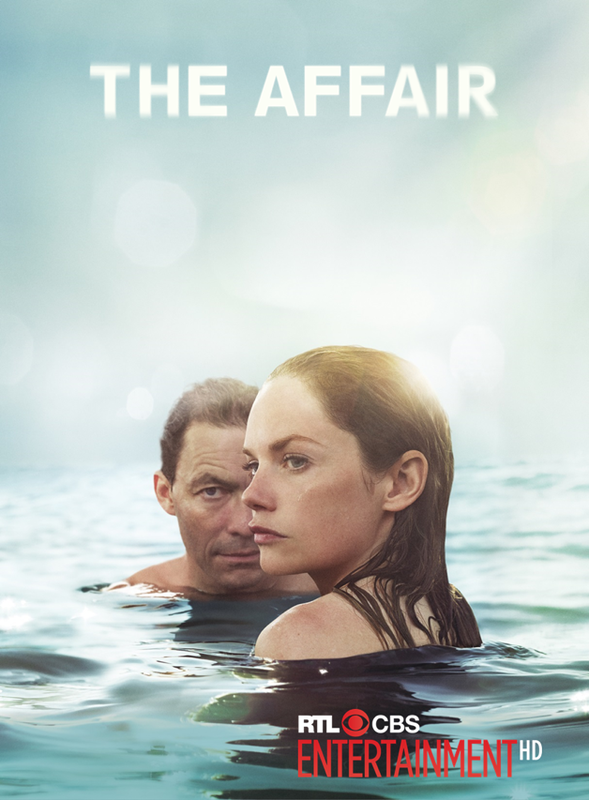 THE AFFAIR explores the emotional and psychological effects of an extramarital affair. The provocative drama is told separately from the male and female perspectives – using the distinct memory biases to both misdirect and intrigue. Wilson plays Alison, a young woman waiting tables at a popular Hamptons diner, trying to piece her life back together in the wake of a tragedy. Her husband Cole (Jackson) struggles to keep it all together, with his wife and with the financially-strained ranch that has been in his family for generations. Their emotionally-charged marriage becomes even more complicated when Alison begins an affair with Noah (West), a New York City public school teacher and aspiring novelist who is spending the summer at his in-laws’ estate out on the island. Tierney plays Helen, Noah's college sweetheart, best friend, mother of his children, lover and wife of 17 years. Award-winning playwright and writer/producer Sarah Treem (House of Cards, In Treatment) wrote the original script from a story co-created with Hagai Levi. They first worked together on the American adaption of Levi's show In Treatment. Treem and Levi will both serve as executive producers, along with director Jeffrey Reiner (Friday Night Lights).